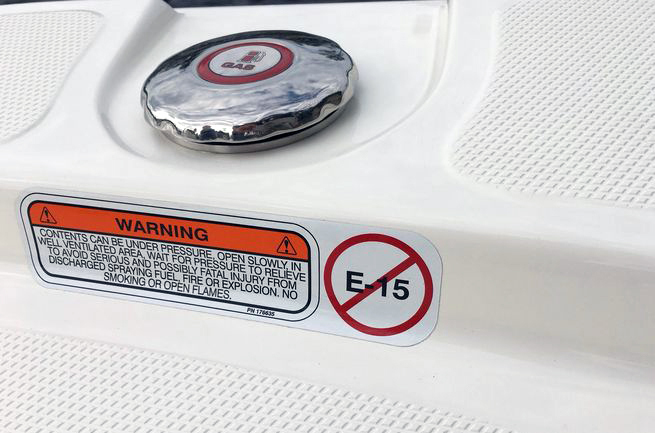 The marine industry has recently cited poor gas pump labeling as a hazard to boat owners—here's everything you need to know about E15 fuel before filling up your boat. 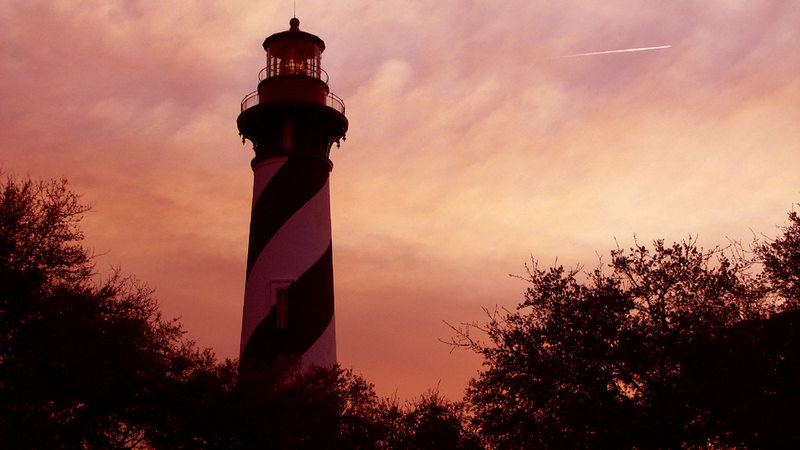 Here’s a warning to boat owners from the marine industry: Beware E15 fuel. Motor fuel containing 15 percent ethanol (E15)—the use of which is prohibited in recreational boats and will void the warranty of marine engines including those from Mercury Marine and Yamaha Marine—is becoming more prevalent at service station pumps across the country, and boaters can expect to see even more E15 this coming season. In October President Donald Trump directed the Environmental Protection Agency (EPA) to begin rule-making that allows for year-round use of E15, which is currently banned by the EPA for sale in many states during summer months over concerns that it contributes to smog on hot days. Trump made the announcement during an October campaign rally in Iowa, a leading producer of ethanol derived from corn. 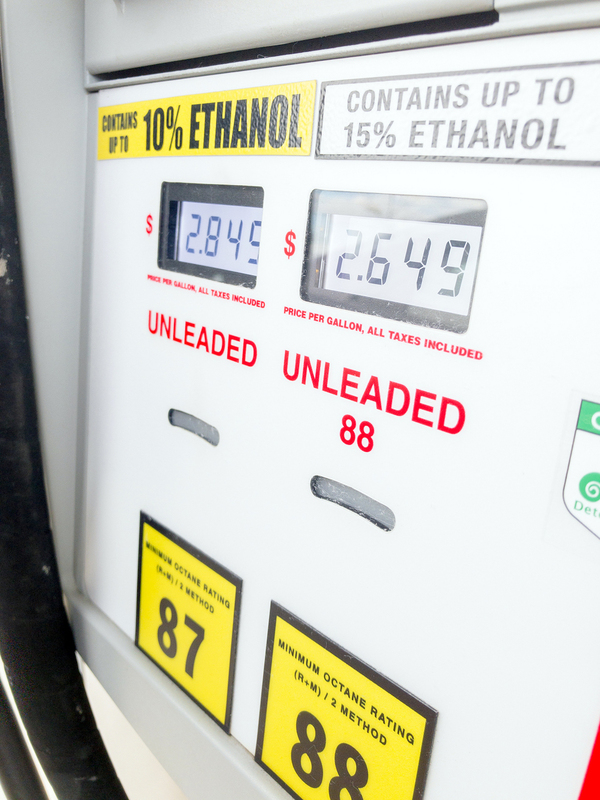 Politics have swirled around the Renewable Fuel Standard (RFS) since the law mandating an increasing level of biofuels like ethanol in the nation’s motor fuel supply was passed in 2005. 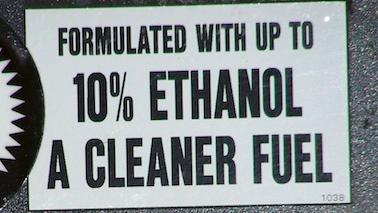 Ethanol content was originally capped at 10 percent (E10) but in 2011 the EPA granted a waiver that allows the percentage of ethanol in the nation's gasoline supply to jump from 10 percent (E10) to 15 percent (E15) to be sold only for cars, SUVs and light-duty trucks made since 2001. This EPA waiver does not permit use of the higher alcohol content fuel in lawnmowers, chainsaws, snowmobiles, motorcycles or boats. This warning label is supposed to be placed near the nozzle of every retail gasoline pump dispensing E15 fuel. Late-model cars and trucks designed to be “flex fuel” vehicles have an engine control system that senses the level of ethanol in the fuel and adjusts the engine timing and fuel delivery accordingly. 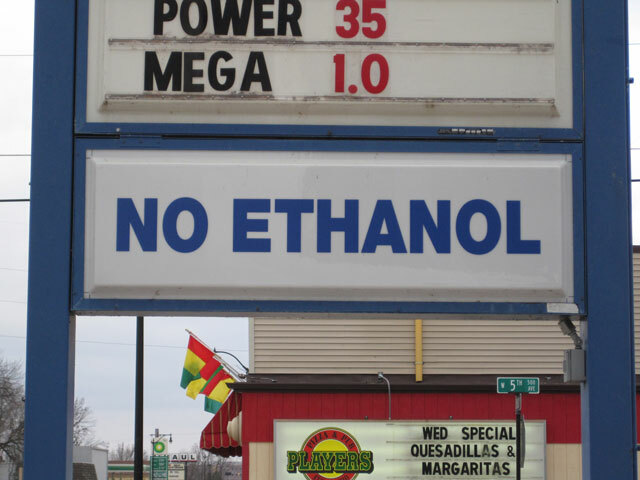 Late-model marine engines, including outboards and inboard engines, do not have flex-fuel capability and are designed to operate safely on fuel containing no more than 10 percent ethanol (E10). 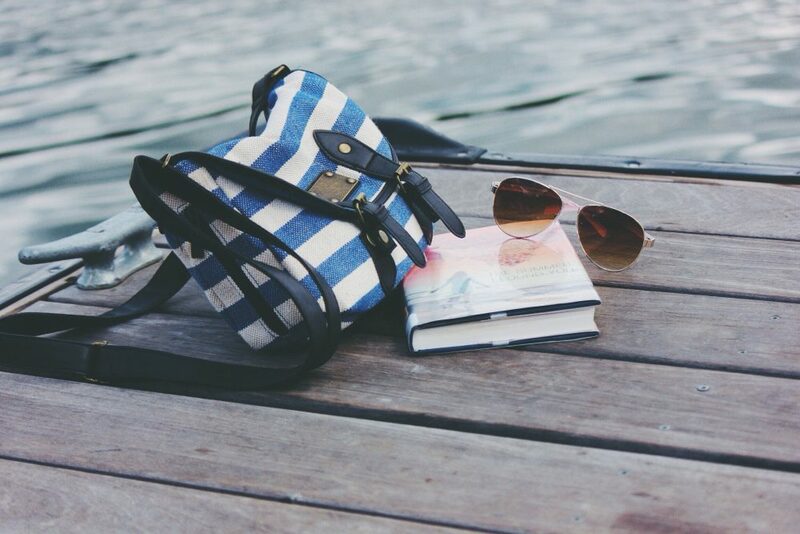 There are also many older marine engines and boats on the water, especially in fresh-water areas, that were manufactured before any amount of ethanol was common in motor fuel and are thus often incompatible with ethanol fuels. Can you spot the E15 warning label amongst the clutter on this gas pump in Indiana? It’s located below the “regular” nozzle and behind the hose, hard to see. Because E15 fuel is supposed to be sold alongside E10 fuel, the easy answer for boaters should be to just not pump E15 into a boat fuel tank. However, since the sale of E15 was first proposed the marine industry has been concerned that pumps that are poorly labelled will make it too easy for boat owners to “mis-fuel.” Protecting Boaters at the Gas Pump is a new website created by the National Marine Manufacturers Association (NMMA) depicting a series of photos of gas station pumps in Illinois, Indiana and Wisconsin that clearly show the challenges boaters face with poor ethanol warning labels at the pump, resulting in a greater risk of mis-fueling. 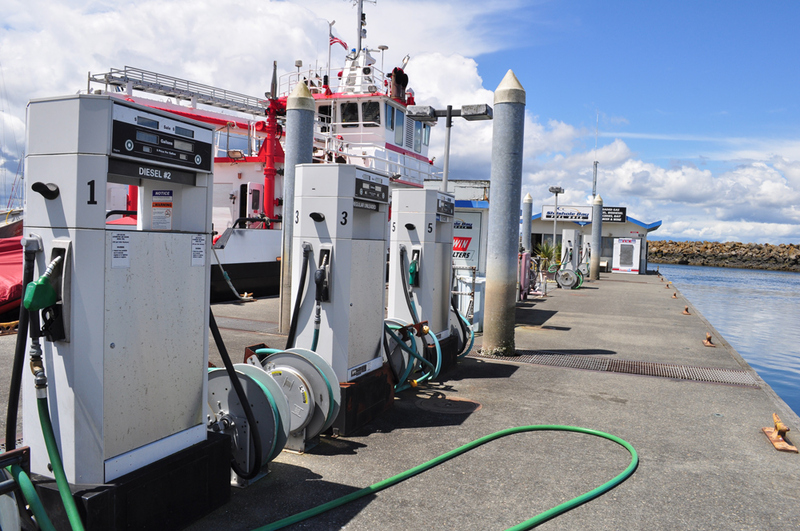 BoatUS, the advocacy, services and safety group for recreational boaters, also has long had concerns over potential consumer mis-fueling with E15. 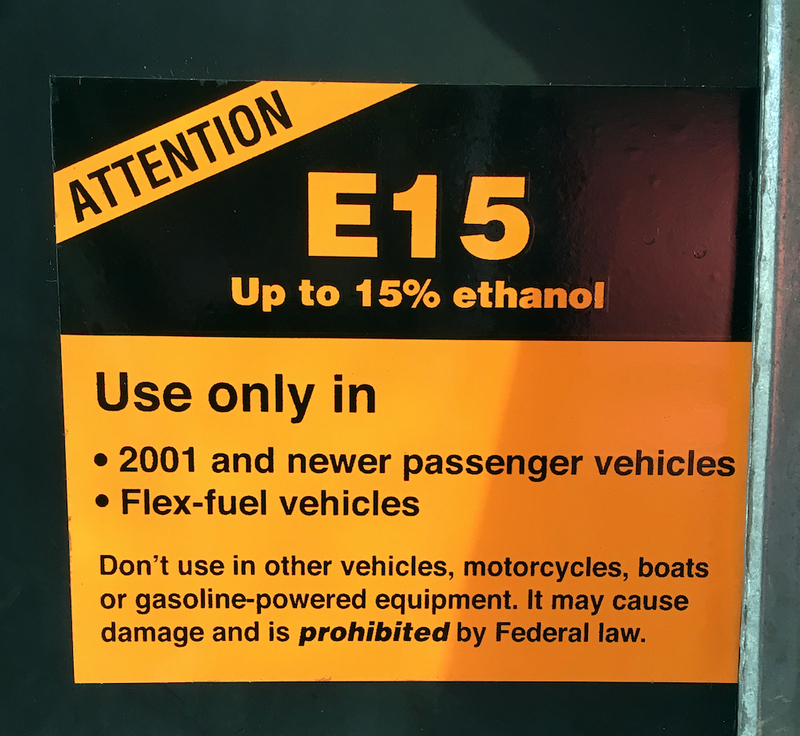 Most recreational boaters refuel their vessels at roadside gas stations where pump-labeling requirements are minimal, with just a small E15 orange warning label required. BoatUS is a member of Smarter Fuel Future, a coalition that aims to reform the RFS. This gas pump in Wisconsin does not display the official E15 warning label. 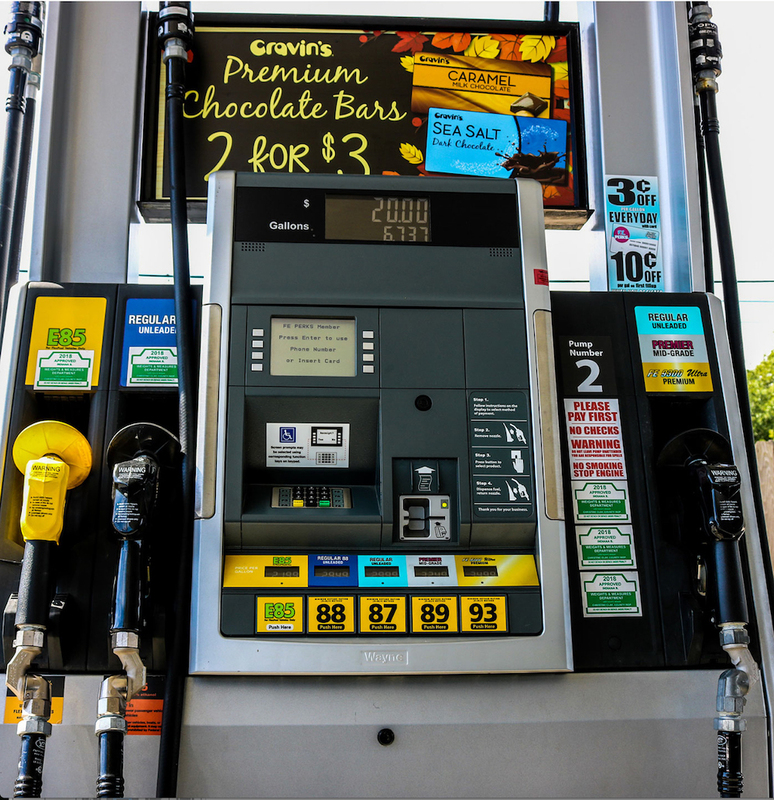 Not that the E15 fuel is priced about 20 cents less than E10, a reason many consumer may simply reach for the E15 nozzle without considering whether it’s the best fuel for their application. 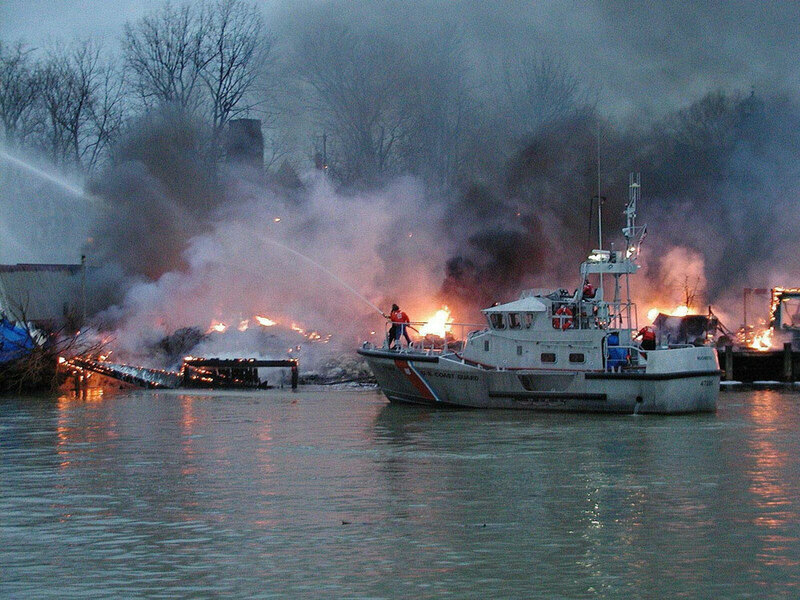 But E15 fuel can damage marine engines in a number of ways. The fuel may not be compatible with plastic and rubber components in the fuel system, and it may cause corrosion of some metal components. Ethanol also raises the oxygen content of fuel, which can cause a lean condition and cause the engine to run hot and eventually fail do to excessive carbon build-up, over-heated exhaust valves and bearing failure in older two-stroke outboard engines. The High Ethanol Fuel Endurance study conducted in 2011 by the National Renewable Energy Laboratory using three Mercury outboard engines revealed the potential damage E15 can cause to these marine engines – the test caused the complete failure of a Verado 300 outboard. New boats all have this “no E15” sticker near the fuel fill. Don’t ignore this advice. It’s not just the engine that’s at risk. 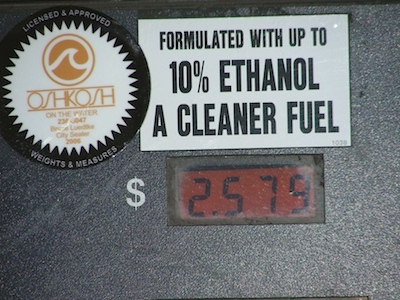 The entire fuel system of the boat, from the hose that fills the tank to the fuel line to the engine, has been designed to tolerate E10 fuel, but no higher percentage of ethanol. Especially in older boats E15 and even E10 fuel can cause all sorts of problems in the boat fuel system, some of which are potentially dangerous. And we haven’t even touched on the propensity for fuel containing ethanol to draw moisture from the atmosphere into a boat’s fuel system. 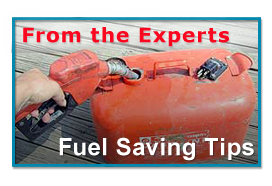 Select fuel carefully at gas station pumps and never use E15 fuel in a marine engine. When possible purchase E0–fuel with no ethanol content–for marine engines. Use a quality fuel stabilizer additive unless you are certain the fuel will be used in less than three weeks. Install a 10-micron water-separating fuel filter between the fuel tank and the engine, and carry a spare filter element on board (check with your engine manufacturer for the best size filter).